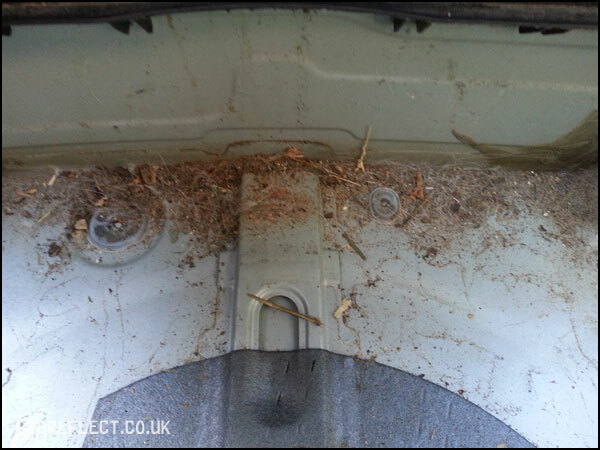 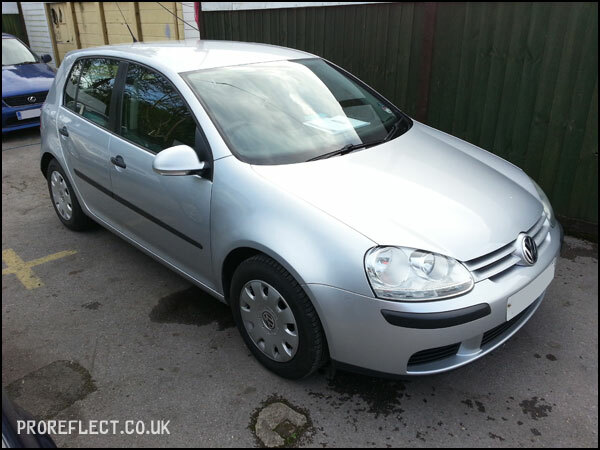 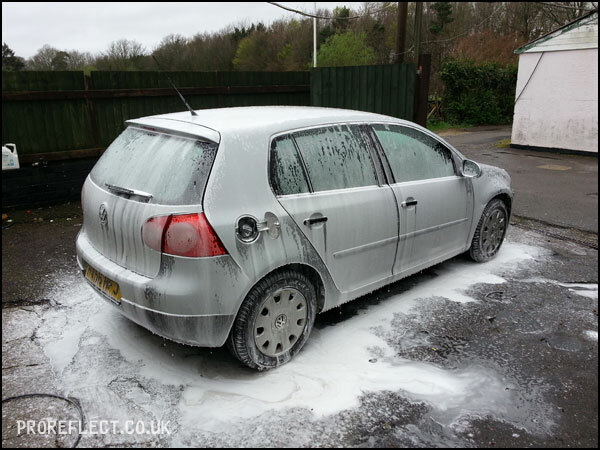 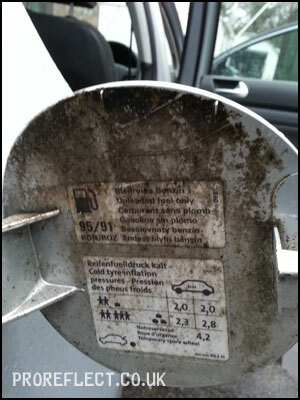 Always up for a challenge, this Mk5 Golf was in a bit of state. 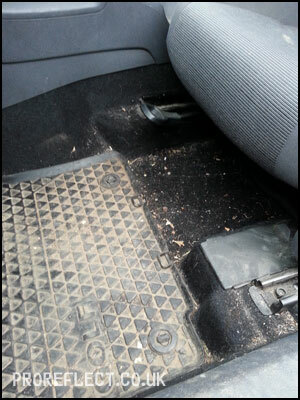 Certainly not the worst I’ve seen but not far off. 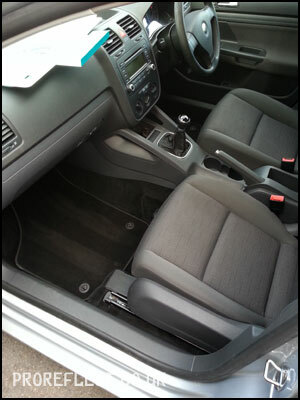 One owner from new with 119,000 miles on the clock, the owner couldn’t of cared less and traded it in. 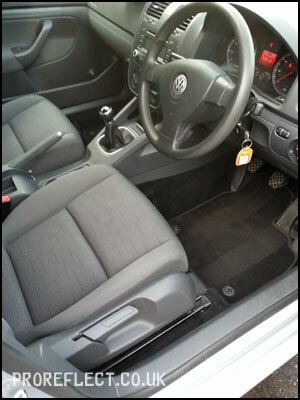 Pro Reflects task – to make it salable for a local trader. 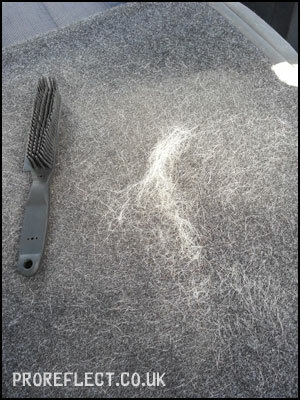 This took 17 hours to complete and I would say at least 97% of the hair has been removed. 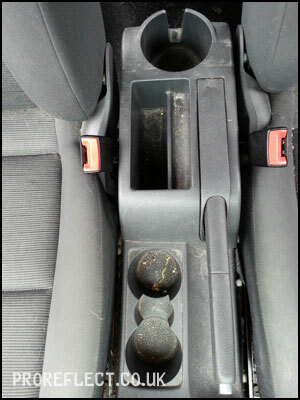 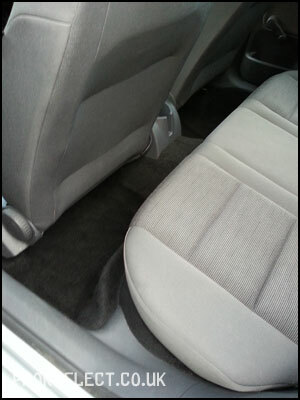 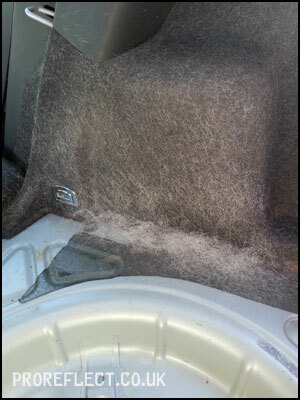 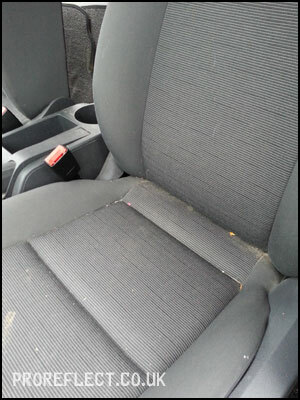 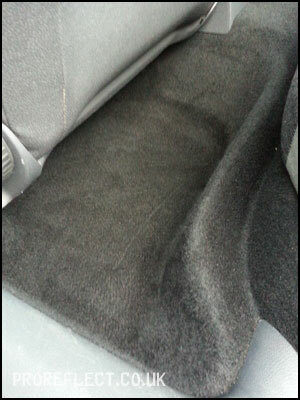 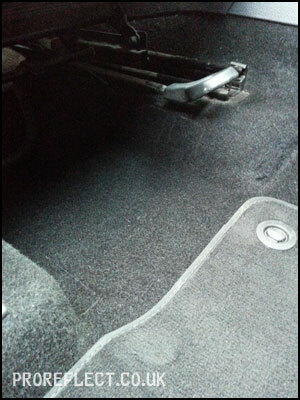 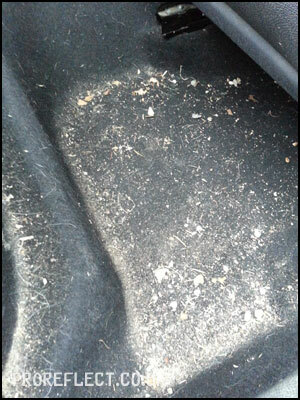 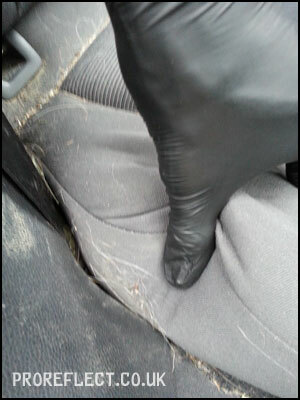 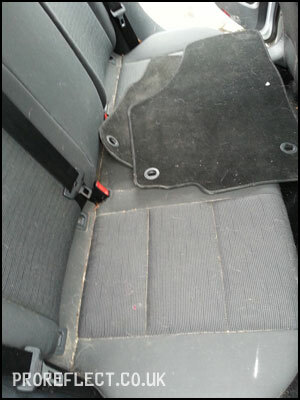 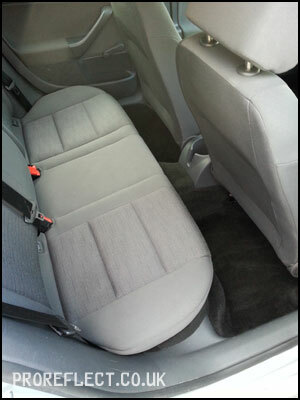 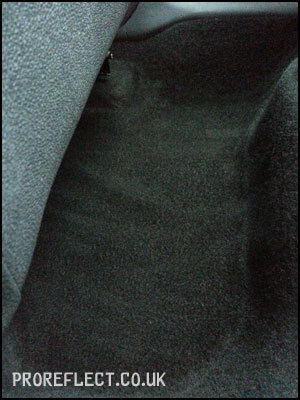 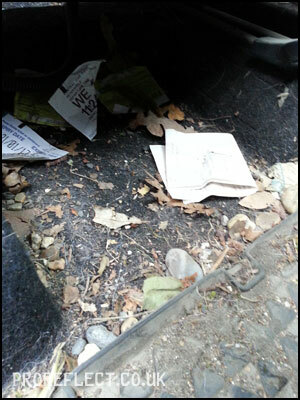 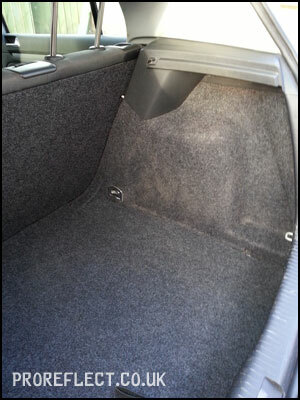 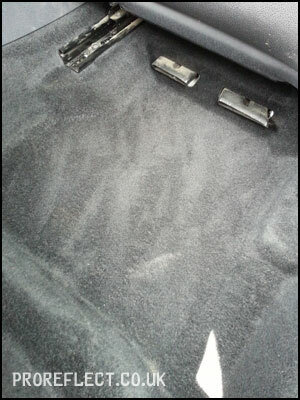 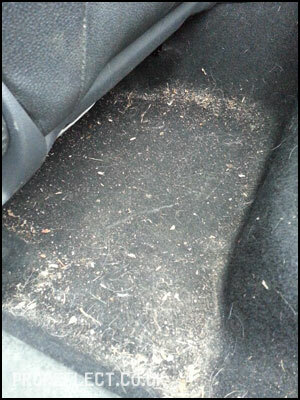 All seats and carpet were scrubbed with AutoSmart Biobrisk and wet vac extracted. 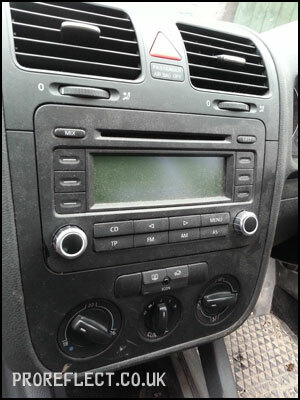 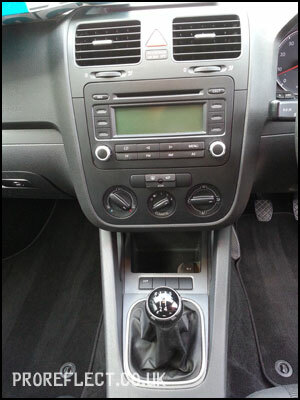 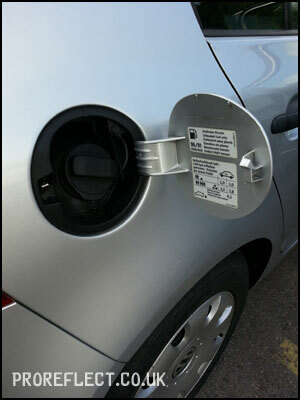 All plastics cleaned with AutoSmart G101. 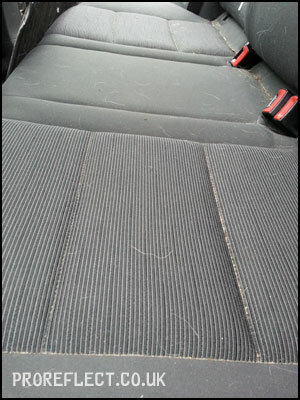 Luckily there were no doggy fluids to remove (putting it politely) and the hair didn’t really stink, so after everything was removed the Golf was back to a near mint condition. 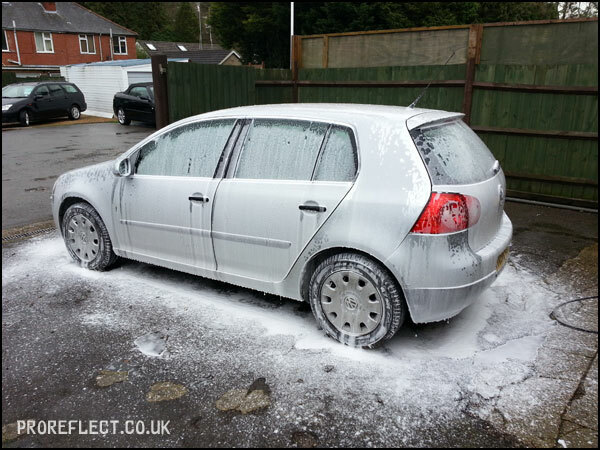 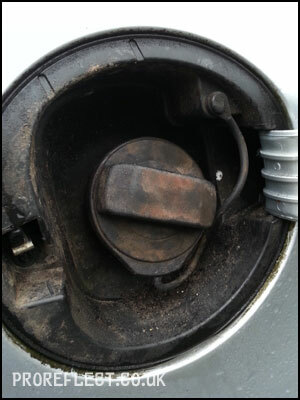 The exterior was in a bit of state and to save a bit of time, was given a pre-wash snowfoam to break down the grime. 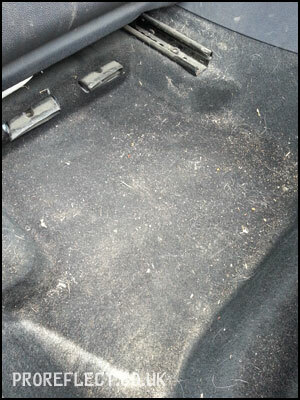 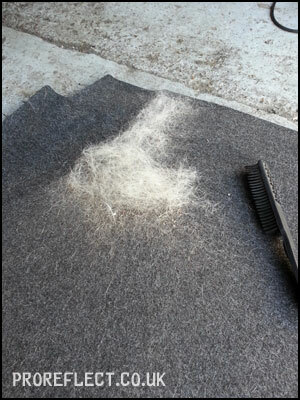 Boot carpet as it started on the left and during hair removal process on the right. 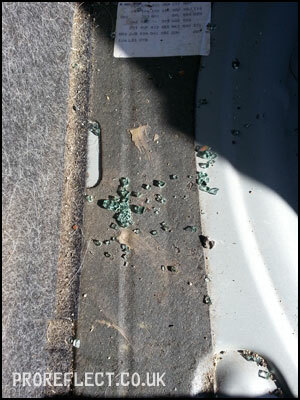 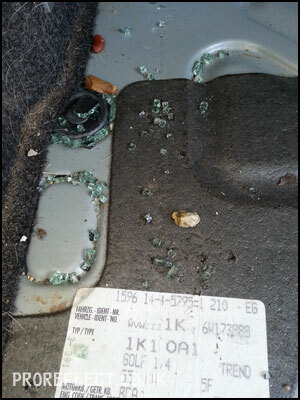 Glass in boot confirmed that the rear windscreen had been replaced at some point. 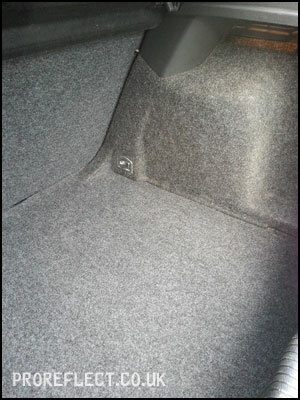 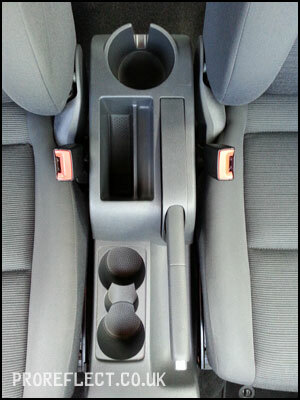 The backs of the seats and the rear foot well during. 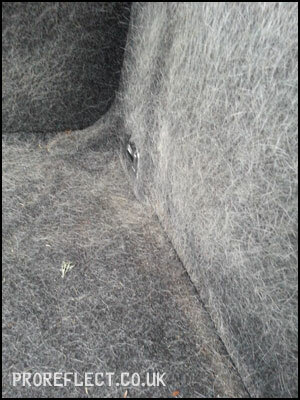 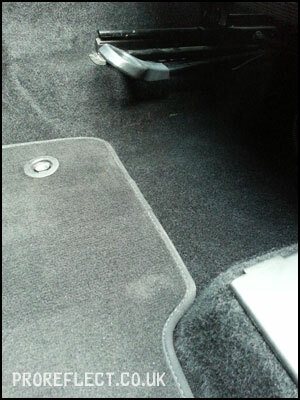 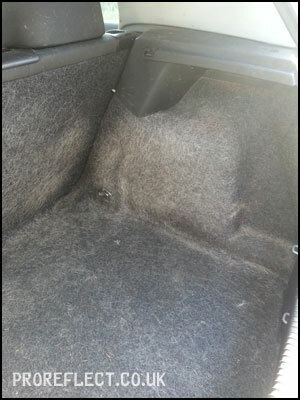 Rear foot well nearly complete; whilst the boot carpet has enough hair in it to make a jumper. 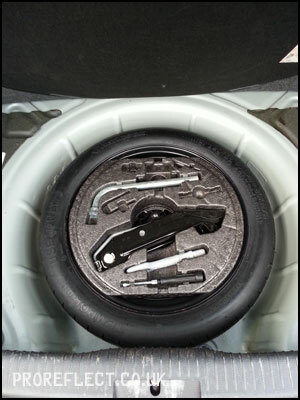 Even the spare wheel gets its tyre dressed.